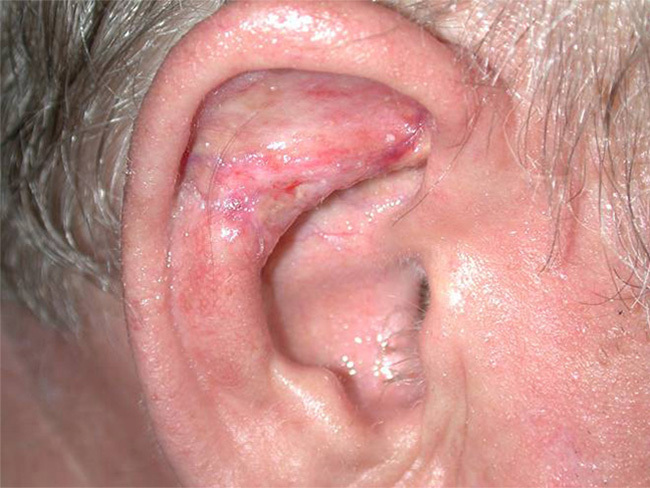 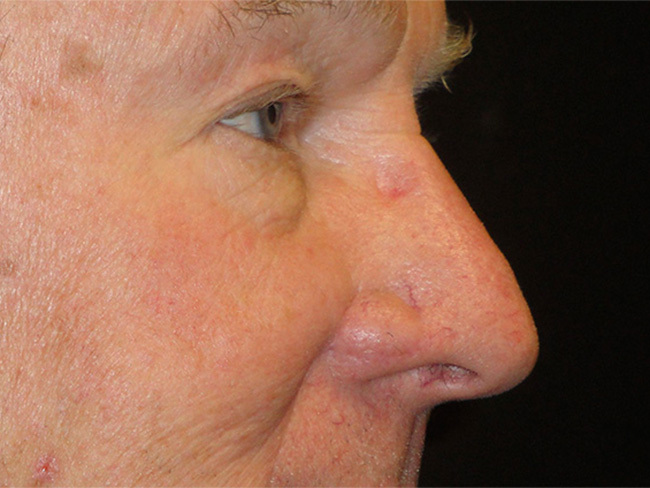 This 57-year-old woman from Tucson, AZ presented with a defect of her nose following nasal surgery for cancer. 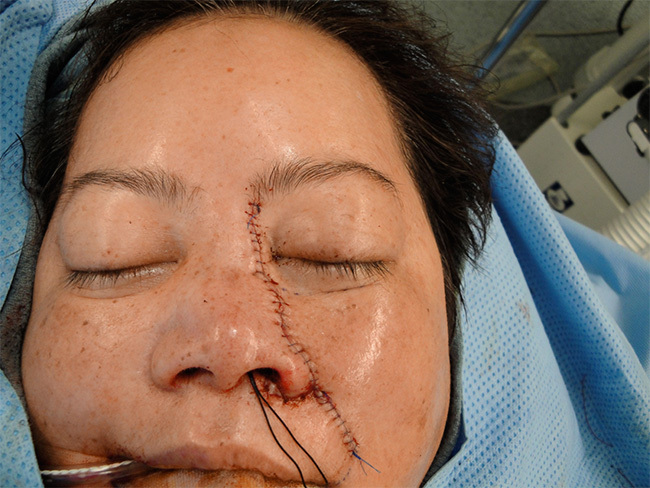 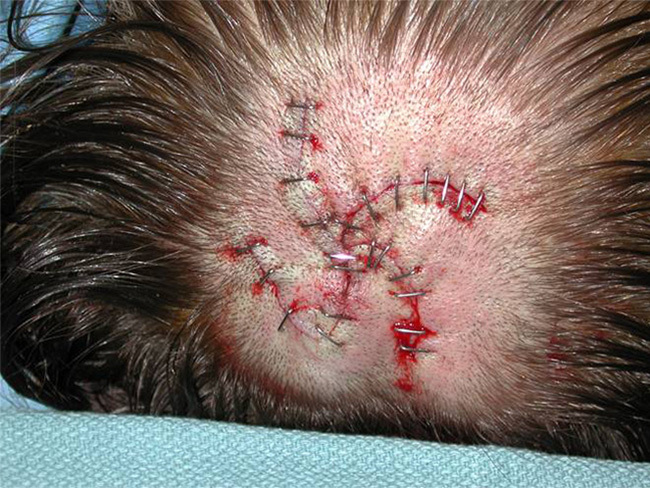 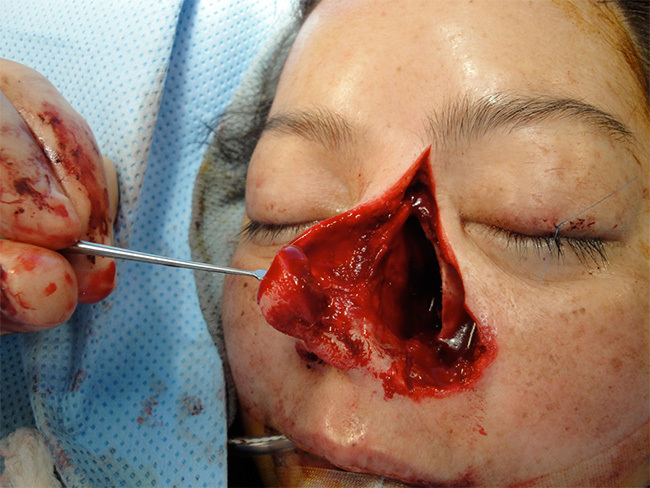 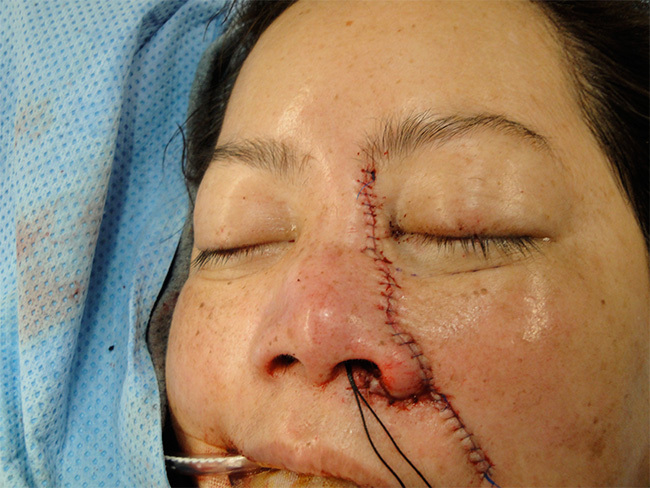 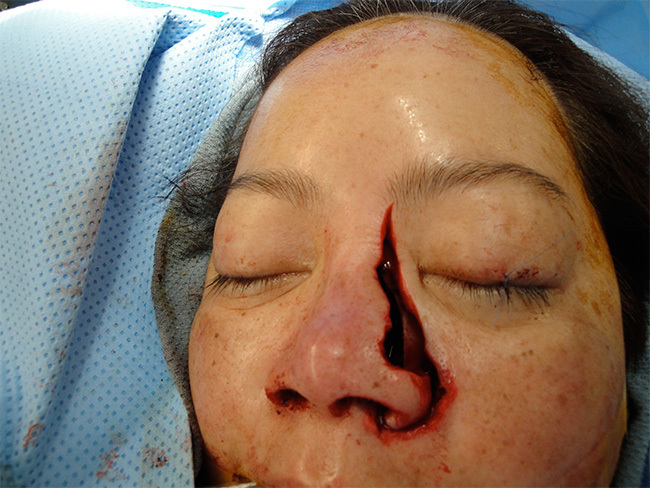 Nasal reconstruction to recreate her nasal bones, nasal passages, and lining of her nose were performed including local tissue flap reconstruction for external coverage. 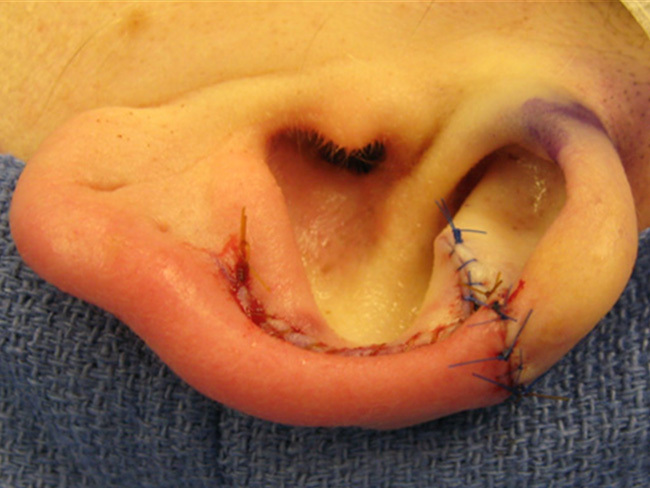 She reports no functional deficit following her reconstruction and is very pleased with the appearance of her nose.